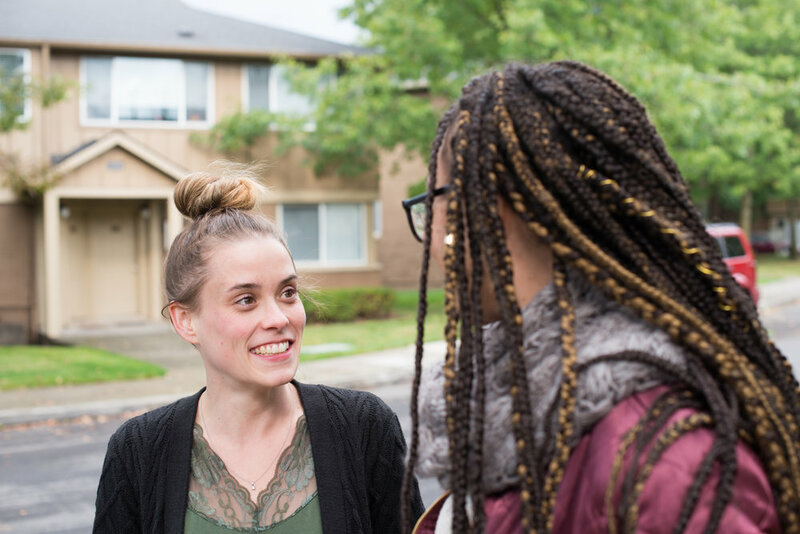 With funds from Portland’s Housing Bond, we’re creating at least 1,300 newly affordable homes—for and by the Portland community. To make sure the priorities and values guiding bond investments match up with the priorities and values of the people of Portland, we recently conducted a community survey of more than 1,000 residents representing a diverse range of communities, discovering what Portlanders expect from affordable housing and how you’d like us to prioritize projects. Prioritize the communities most in need: 87% of respondents agreed that we should create housing primarily for people and communities most affected by racism, housing discrimination, homelessness and displacement. Location matters. Amenities do, too: Nearly three-quarters of respondents (70%) disagreed with the idea that the City should build the most housing possible, regardless of location. And 65% said we should focus on creating housing near amenities, even if that means adding fewer units overall. Affordable housing citywide. More than half of respondents (58%) agreed that affordable housing should be built in a balanced way throughout the city, rather than concentrating affordable housing where it already exists. The results informed the Policy Framework, announced today, which establishes goals, values and accountability measures to ensure the bond will make a difference for local families.